Intrepid Control Systems » Autonomy Autonomy | Intrepid Control Systems, Inc. Autonomous vehicles have captured the imagination of OEMs, automotive engineers, and the general public. Those on the forefront of autonomy are finding that tools to test and validate such systems are difficult to find. Fortunately, Intrepid Control Systems is leading the way with state-of-the-art hardware and software solutions. CAN FD: An expansion of CAN 2.0B, now standardized as ISO 11898:2015. CAN FD allows larger payloads (up to 64 bytes) and up to eight times faster data transmission. CAN FD paves the way for transitioning CAN protocols and ECUs to autonomy applications, allowing authentication and encryption. Automotive Ethernet: A general term that covers all forms of Ethernet used in automotive applications, but usually refers to the special single twisted pair physical layers created for automotive use and leveraged for autonomy systems. BroadR-Reach® was the original single pair Ethernet implementation, later fine-tuned and standardized as IEEE 802.3bw, and referred to as 100BASE-T1. The new Gigabit version of single pair Ethernet, 1000BASE-T1, is better suited to high-bandwidth applications such as lossless video for image recognition. 10GBASE-T: Although data rates for single pair Ethernet are improving rapidly, even higher data rates are needed in some cases. Sometimes standard 10GBASE-T Ethernet is used in development systems to keep pushing the “autonomy race” to Level 5 autonomy. FPD-Link: Originally developed for use in transferring graphics from a GPU to a display controller, FPD-Link and its improved FPD-Link II and FPD-Link III variants are particularly useful in transferring lossless video from cameras to an autonomous system. Vehicle Spy for Ethernet: Vehicle Spy fully supports Automotive Ethernet. You can view CAN, LIN, Automotive Ethernet and video data on one screen, time-aligned with an accuracy of 10 ns. Examine live data and load data logger captures to see when a test operator pressed a trigger button, synchronized with video frame captures and Automotive Ethernet frames. Vehicle Spy for Data Visualization of Autonomous Sensors: Video streams and LIDAR and RADAR data can be identified and dissected from Ethernet traffic. Streams of video can be captured, ripped and displayed. Additional processing with the Video Tracking feature allows for video processing for testing and validation. neoVI ION and Wireless neoVI for Wireless Data Logging: The neoVI ION is capable of logging data from an autonomous vehicle and transmitting it wirelessly to the Wireless neoVI system. Gather testing and validation data and access it anywhere. 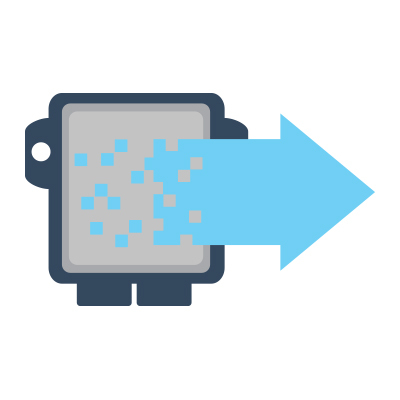 DataSpy for Data Mining: The DataSpy Integrated Post Analysis system allows for mining petabytes of data remotely on-server, quickly delivering key results to you and your colleagues worldwide.